After 13 hours of deliberations, a jury found Roy Oliver guilty of murder for the shooting death of 15-year-old Jordan Edwards in April 2017. 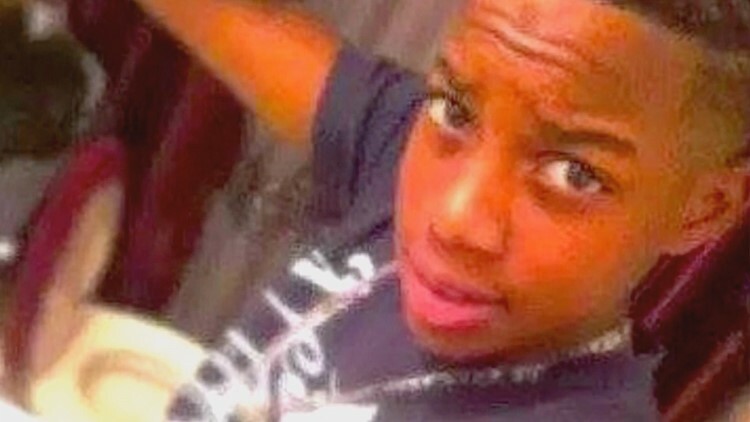 DALLAS – The punishment phase begins for a former Balch Springs police officer found guilty of killing 15-year-old Jordan Edwards. The same jury that convicted Roy Oliver of murder will now determine how long he will be in prison. Oliver faces anywhere from five years to life in prison. On Tuesday, the jury found former Balch Springs officer Roy Oliver guilty of murder in the April 2017 killing of 15-year-old Jordan Edwards. The verdict is historic, making Oliver the first police officer in Dallas County to be found guilty of murder since 1973. Oliver was found not guilty on two counts of aggravated assault. “We the jury unanimously find the defendant guilty of murder as charged in the indictment,” read Judge Brandon Birmingham. Jordan Edwards family hugged and cried and said, "Thank you Jesus” after the verdict was read. People gasped as the verdict was read. Jordan Edwards family hugged and cried as they heard the word guilty. "Thank you Jesus,” was heard throughout the courtroom. It’s the moment they have prayed for since he was shot and killed by Oliver in April of 2017. “I want to say I’m happy. Very happy. It’s been a long time. It’s been a hard year. I’m just really happy,” said Jordan Edwards father, Odell Edwards. Civil rights leaders hailed the outcome. “This has been a long tough battle. You know Odell and I were talking last night and one of the things that he said is that he doesn’t want another parent, another father to go through what this family has had to deal with. This case is not just about Jordan. It’s about Tamir Rice. It's about Walter Scott and Alton Sterling. It’s about every unarmed African American that have been killed and has not gotten justice,” said Edwards’ family attorney, Daryl K. Washington. The jury deliberated for 14 hours and at times they appeared deadlocked. In the end it came down to justification -- did they believe Roy Oliver was justified in shooting into the car Jordan Edwards was in. Oliver claimed it was to keep his partner from being run over, but, the jury didn’t buy the defense. The body camera footage showed Oliver running towards the car and firing five shots shooting Jordan in the head. An innocent teen who was doing nothing wrong that night. His father wants him remembered as a football star, a good student, a loving son and a loyal friend. On April 29, 2017, Roy Oliver fired five shots from an AK-15 rifle into a vehicle carrying several teens, including Edwards and his stepbrother, as they left a house party. Unarmed, Edwards was struck in the back of his head and killed instantly. Following the shooting, Oliver said he fired the weapon because the vehicle was moving toward his fellow officer, Tyler Gross. Dash-cam video later revealed the vehicle was moving away from officers. Oliver was then fired from the Balch Springs Police Department and charged with murder and two counts of aggravated assault with a deadly weapon. Made up of 10 men and two women, the jury heard closing arguments and deliberated for eight hours Monday. The verdict came down Tuesday, roughly a half-hour after the jury returned a question to the judge asking what would happen if jurors were "split on justification." Judge Birmingham then asked for a lawyer from each side to come into his chambers, a highly unusual event before a verdict is read. Roy Oliver has been found guilty of murder. Roy Oliver found not guilty of Agg assault charges. But found guilty of murder for shooting and killing 15 year old Jordan Edwards. Testimony in the sentencing phase of the trial began shortly after the guilty verdict was handed down. The sentencing phase could take days to complete. In January, Ken Johnson, a former Farmers Branch officer, was found guilty of murder and aggravated assault after he fired 16 shots at a vehicle carrying two teens, killing 16-year-old Jose Cruz. He was sentenced to 10 years in prison. The jury in the trial of a former Balch Springs officer on trial for murder in the shooting of 15-year-old Jordan Edwards will continue deliberations Tuesday morning. Attorneys delivered their closing arguments Monday morning in the murder trial of Roy Oliver, whose fate is now in the jury's hands. Made up of 10 men and two women, the jury will decide whether to convict Oliver in the killing of the unarmed teen. Monday, the jury asked the judge three questions during eight hours of deliberations. They wanted clarification on a legal term, a piece of testimony and the charges Oliver is facing. Jurors could find him guilty of murder, manslaughter, aggravated assault or find him not guilty. While attorney and law enforcement officer Pete Schulte isn't involved in the Oliver trial, he said based on his years of experience, the jury is likely struggling. The jury was sequestered in a downtown hotel Monday night with no phones or a television to prevent them from seeing any media coverage of the trial. "We acknowledge and respect police, but we have officers who go out and hurt citizens and that's where it must stop," prosecutor George Lewis told the jury. Oliver's attorney, Bob Gill, argued that the former officer was acting in self-defense, trying to protect himself and his partner when he fired at the vehicle. Oliver and his partner had responded to a house party in Balch Springs, and Edwards was with a group of people leaving after they were told to do so by authorities. While Gross and Oliver were at the home, they heard shots fired down the street and ran out to investigate. That's when the two spotted the vehicle carrying Edwards, his stepbrother and other teens. While Gross attempted to stop the vehicle, Oliver fired five shots. "I had to make a decision," Oliver testified. "This car is coming towards my partner. There are threats inside the car. When lethal force is being presented toward us, I had no other option but to use lethal force to try to stop him." However, Gross testified that he didn't feel threatened, and the car was actually backing away. No weapons were found inside the vehicle. The shots heard by the officers earlier were later determined to have come from a nearby nursing home. During seven days of testimony, jurors heard from the driver of the car, Vidal Allen, who said he'll never forget the moment a bullet struck his stepbrother in the back of the head. He begged responding officers for help and later asked an officer to pray with him. "Please help my brother," he recalled telling police. "He's bleeding out. Please, my brother's dying. Please somebody help." Jurors also heard from Edwards' stepmother, Charmaine Edwards. "I still can't believe it," she told district attorney Faith Johnson. Oliver also testified about the moment he realized Edwards was dead. "My heart sank," he said. "From there it was hard to breathe. It was an awful feeling all the way around." Prosecutors hope jurors see Oliver as a hot head who had a history of putting innocent lives in danger. Two sisters testified he pointed a gun at them when they accidentally hit his car weeks before Edwards' death. The defense hopes jurors see Oliver as a war veteran and public servant who was trying to protect his partner. "The state has to prove the case beyond a reasonable doubt, which they have not," Gill told the jury. "It's that simple."